It sounds like you played a lot of arcade games too. In those days, when people who were into video games heard about a new game in the next town, they were so passionate that they would travel a good distance to play it. On the topic of my junior high days, the arcade in front of the station was out of the school district, so there was a school regulation against kids going on their own. If you wanted to play video games, the only place was a small corner at a batting centre near school, but it cost 100 yen per play, whereas it was only 50 yen at the arcade. That’s a big difference! (laughs) Did you wonder whether you should obey school rules and pay 100 yen or take a risk to pay only 50? Yeah. At first, everyone went to the batting centre. But in my second year of junior high, a transfer student named Machida-kun came. Macchi (Machida-kun’s nickname) came from the city and was a little sophisticated. And just at that time, I heard that the batting centre got Dragon Buster19. My friends and I made plans to go play it on Saturday. I asked Macchi if he would like to come too, and – like it was nothing special – he responded, “The batting centre’s expensive, so let’s go to the arcade.” That really created a stir.19. Dragon Buster: An action arcade game released by Namco Limited (now Namco Bandai Games Inc.) in January 1985. The Famicom version appeared in January 1987. At the time, arcades seemed like places where troublemakers hung out. That’s why everyone was shocked, but we were also intrigued by that air of “badness”. So we asked Macchi to take us to the arcade he’d been going to. He must have been going fairly often since he arrived. I was nervous and went to the arcade where Macchi usually went. I wasn’t sure which game to play as we watched the attract mode20. They may have only cost 50 yen, but my allowance was precious, so I watched others play, ran simulations in my head, and gave it careful consideration so I wouldn’t regret spending the money.20. Attract mode: Images of gameplay that show while the game is not being played. Yes. But while I was hesitating over which game to play, it got dark outside and someone started saying we should leave. I still hadn’t done anything but look, though, so I asked them to wait while I played something. What I played first was Road Fighter21, which had the easiest rules to understand. That was the first coin I used at the arcade. I played that once and went home, but after that, every Saturday was video arcade day.21. Road Fighter: A racing game developed by Konami Corporation that appeared in Japanese arcades in 1984. The courses are displayed from an overhead point of view, and players control cars that race along fast-scrolling roads, avoiding opponent vehicles and obstacles in an effort to reach the goal before running out of fuel. You had loosened up and learned the thrill of video arcades. Well, I didn’t study, so as might be expected, I failed my high school entrance exam. But that one year at prep school was intense, and it continued into my high school life. I see. But playing video games as a part of your life like that became a valuable asset. Yes. For example, when displaying the items you’ve collected, instead of just showing a list of their names, it’s much more exciting to see graphics of the items themselves, like in The Tower of Druaga22. Without even realising it, I learned from the simple arcades of yesteryear that kind of instinctive comprehensibility and aesthetics.22. The Tower of Druaga: An action arcade game released in Japan by Namco Limited (now Namco Bandai Games Inc.) in July 1984. The Famicom version appeared in August 1985. While satisfying certain conditions and solving puzzles, player characters collect items hidden on each floor of a 60-storey tower with the ultimate goal of rescuing a maiden imprisoned on the top floor. 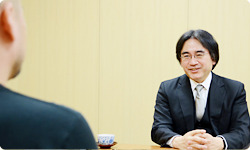 Xevious creator Masanobu Endo worked on the game design. I think it’s surprisingly difficult to notice such things simply by playing the games. But once you understand them and keep that information organised inside, then you can retrieve it right away, the way you just did. How did you come to have that perspective? Hmm. I don’t think I’ve changed. So you always had that knowledge at your disposal? No, I’m not even sure I do now. For example, when making Viewtiful Joe23, I made the map myself, and at first I couldn’t make anything fun at all.23. Viewtiful Joe: A side-scrolling action game released by Capcom for the Nintendo GameCube system in Japan in June 2003, and in Europe in October of the same year. It was characterised by exaggerated, American comics-style graphics and “VFX Action,” which involved actions that manipulated space and time. It became the first in a series of games and was turned into a television anime series in Japan. Viewtiful Joe was a completely new kind of action game made for Nintendo GameCube. Yes. I began developing that title when my boss at Capcom, Shinji Mikami-san24, said, “As a plan man, try doing the design process by yourself.” Before that, I had been involved with big teams making games like Resident Evil 225 and Devil May Cry26, so it was my first time to come up with the project myself and see every last bit of it made.24. Shinji Mikami: Former Department Manager, Development Department 4 at Capcom. 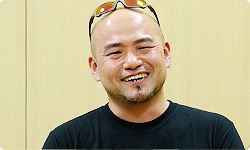 He served as director or producer of the Resident Evil series up through the fourth instalment. 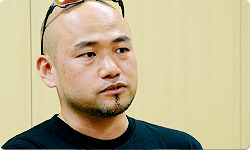 At present, he is executive producer at Tango Gameworks.25. Resident Evil 2: A horror-action-adventure game released in Japan by Capcom in January 1998, and in Europe in May of the same year.26. Devil May Cry: An action game released in Japan by Capcom in August 2001, and in Europe in December of the same year. It drew critical acclaim for its stylish action, and attracted attention for the flashy, free-flowing way it portrayed defeating enemies. It became the first in a series. That was when you first experienced making something from scratch. I had checked maps made by others, but it was my first time to make one myself. I would guess that a big reason for that was Mikami-san’s desire to help you grow. I suppose so. Mikami-san had also lived through the 8-bit Famicom era, so I think he wanted to give me the experience of starting up a project with relatively few people. But I operated on instinct more than logic, so when I made a map myself, all sorts of problems would arise later on. For example, at the start, I would make a platform for jumping, but in the end, you could just walk along the ground without even using it. It simply wasn’t fun, so I placed an item called V-film27 in the air to have players jump. Then, when I lined up V-film along the parabola of a jump, I suddenly realised – after the fact – how that was just like the coins in Super Mario!27. V-film: An item that serves as the source of the VFX Powers that are crucial to making progress in Viewtiful Joe. Oh, really? So while the experiences themselves remain unorganised in your head, as you’re working through a process of trial and error, you find hints in your old experiences and compare them? Yes. When I make something, I don’t organise my thoughts at the beginning, like “That one game was like such-and-such, so I’ll do this.” Instead, it’s more like I suddenly notice something in the moment, like “Oh! So that’s why they made that game like that!” That was when I first realised I’d been doing just what you wanted me to do. 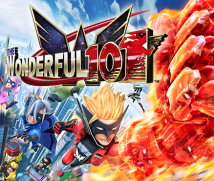 Thus, I realised during development of Viewtiful Joe that the games I had played held important answers. And ever since, I have been much more conscious of the structure of gameplay.